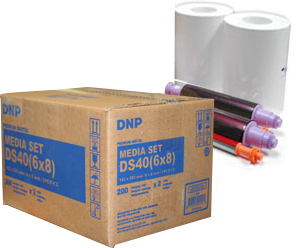 It contains 400 sheets per roll, packed 2 rolls per case for a total of 800 sheets. 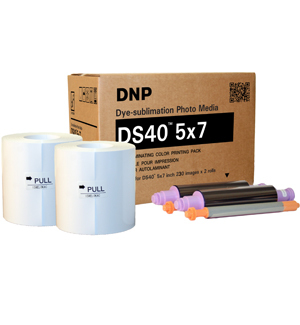 This media prints out a larger quantity: 460 total prints instead of 400. This is a special version of paper that includes a vertical perforation optimized to create unique 4x4” social media print sizes. Leaving a 2x2" area that can be easily snapped off and used for a coupon, promos, offers, or additional print sizes. Perfect for the Photo Booth and Novelty markets. Create FUN social media styled jumbo Photo Booth strips. 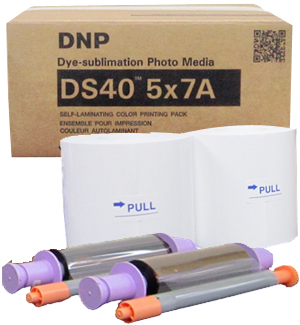 Each 6x8" Double Perforated photo yields (three) 2x8" Jumbo Photo Strips. Perfect for the Photo Booth and Novelty markets. 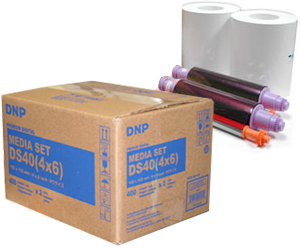 Features Center perforation, each 6 x 8" sheet has two 3 x 8" image areas. 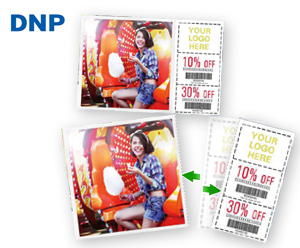 This center perforated media is designed to offer you two images per print, or the ability to attach a voucher, coupon, or ticket to the print.